An article recently published in The New York Times (6/29/15) titled “Guinea Pigs Are Autistic Child’s Best Friend,” discusses a fascinating new study in which the presence of guinea pigs was found to reduce the anxiety of autism spectrum disorder (ASD) children in a social environment, improving their ability to interact with their peers and enhancing their overall success at school. 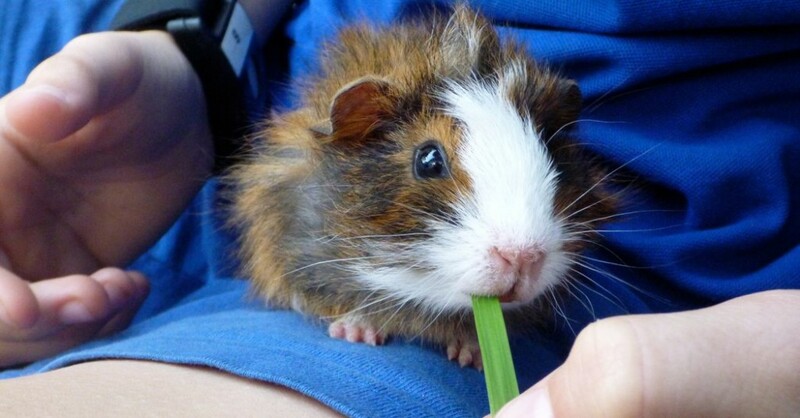 While the benefits of having a class pet, such as a guinea pig, have been recognized in past research, this study goes one step further by providing physiological data which proves that these creatures have calming effects on ASD children. All of the 192 children participating in this study– of which 64 were on the spectrum and 128 typically-developing– wore special wrist bands that tracked their arousal levels, or levels of anxiety, by measuring electrical signals in their skin. The children were separated into groups of three with one ASD child and two typically-developing children in each group, and their arousal levels were measured as they were directed to perform specific tasks. Performing any task, whether playing with a toy or even reading, in the presence of a small group caused an increase in each ASD child’s arousal level, indicating an increase in anxiety. The moment that two guinea pigs were introduced into each small group, however, the ASD child’s arousal level dropped. For all of the ASD children, completing tasks in front of or with the two other typically-developing children no longer caused their anxiety to rise, and, in addition, they displayed an increase in sociability. The researchers controlled for whether the guinea pigs’ calming effects resulted from the distraction that they provided for the ASD children just by virtue of diverting attention away from the stressful social situations. This was tested by introducing a toy into each group as a “distraction object” in place of the guinea pigs. The same calming effects were not seen, which indicated that there is something in particular about these small, friendly creatures that helped abate the social anxiety experienced by the children on the spectrum. 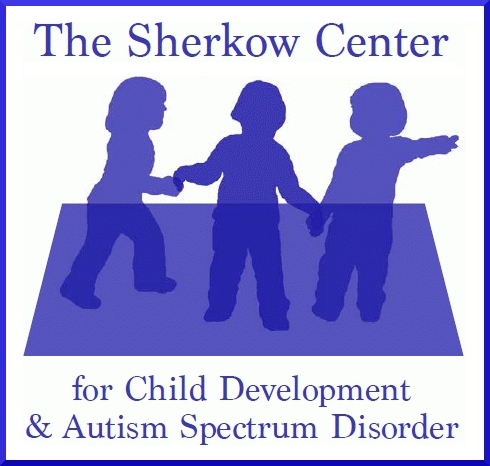 While The New York Times article does not go beyond stating that the mechanisms behind the guinea pigs’ calming effects are currently unknown–they hypothesize that they act as “social buffers”– we at The Sherkow Center believe it is vital to uncover and understand these mechanisms, in order to gain a more comprehensive understanding of ASD. What are the mechanisms at work here? Children on the autism spectrum are born with a neurobiological difference that makes it difficult for them to process information and stimuli— to make sense of the information from the external and internal world coming at them. The processes by which infants learn about other people’s feelings and ideas, and about their own emotions and ideas, are the ingredients necessary to forming a relationship and maintaining it. ASD children seem to be neurobiologically altered in some way that affects making sense of the social world. We also know that the more predictable the patterns of their experiences, the easier it is for an ASD child to absorb social, emotional, and cognitive information. By contrast, the more unpredictable a system, the harder it is for an ASD child to process or make sense of it. The technical term for this is “failure of theory of mind,” referring to the diminished ability of an ASD child to form a coherent picture of what is going on in his own mind—or in the mind of his mother or father, his teacher, or his school mate. A school mate is an unpredictable source of information. In a group setting, the study demonstrated what we have seen in our work: an ASD child becomes anxious at the prospect of sharing with or in front of peers because his processing difficulties interfere with his understanding the expectations of others. However, in a group scenario where a guinea pig is the shared object, participation in such sharing is much easier for the ASD child. Not only is the guinea pig able to elicit an emotional bond from the ASD child and typically-developing children alike, its lively actions are safely predictable. Even though the guinea pig’s behavior is hardly static, as it moves about, drinking and nibbling, it remains predictably unpredictable! Another important element of this study is that unlike toys, or the demands of a social group, playing with a guinea pig doesn’t demand the use of imagination or pretend play, areas classically difficult for an ASD child. The guinea pig makes no demands or expectations of the child, yet another source of potential anxiety for ASD children. Last but not least, all of the children, typical or ASD, can experience the guinea pig in an identical fashion, importantly providing a source of joint attention that enables a social interaction between two people to get started. The typically-developing and the ASD children will process the experience of the guinea pig in exactly the same way, providing a source of shared experience as a springboard for a relationship between the children. Thus it stands to reason that the presence of the guinea pigs would decrease anxiety while enhancing the capacity of the ASD child to grow in the context of participating in a group. The physiological data collected in this study demonstrates very concretely not only how anxiety-provoking social interaction is for children with ASD, but how relatively readily this stress can be reduced simply by introducing a joint-attention inducing phenomena into the social group. That the ASD children so readily displayed an improved ability to play and socialize with their peers points to the key role anxiety plays in exacerbating the social deficits we seen in children on the spectrum. Attend our Workshop! Spark Group Fall 2015 has begun!